Ladies, finally summer is here and what best way to enjoy summer than flaunting your legs :) I will be reviewing the Braun Silk-épil Xpressive Pro Wet & Dry Body & Face Rechargeable Epilator today. The unique SoftLift Tips on this Braun Silk-épil Xpressive Pro Epilator can remove even the shortest and flattest of hairs* whilst the 40 winglet tweezers remove more hair in a single stroke than any other epilator. The Braun Silk-épil Xpressive Pro comes with a shaver attachment, underarm and facial caps, so versatile you won't need any other hair removal tools again. My experience: I have been a religious waxer and shaver all these years. So I was a bit sceptical to try out an epilator - the pain factor and a little bit of fear had kept me away from epilators. However, after using the Braun epilator all I can say is - why didn't I switch to this earlier? Flaunting smooth silky legs is such a breeze now. I do not have to wait for the hair to grow back to a certain length to be able to wax. All the messiness involved with waxing is also gone. Shaving was easy but then the hair used to grow back so quick. 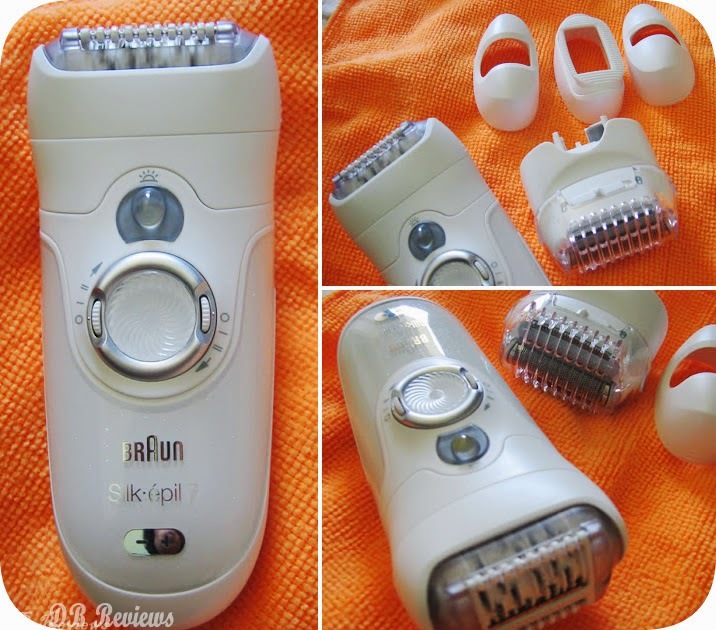 The Braun epilator scores major points for giving me long lasting smooth legs. can be used both wet and dry. Isn't that awesome? When used in the shower, it dulls the pain to some extent, I feel. once recharged it works for upto half an hour for me - enough to do both legs and hands. love the design. It's ergonomic and the smart light is useful in spotting any hair that I may have missed. the massager is also an added bonus. I find that it stimulates the skin and you don't feel much of the epilation pain. Kind of numbs the pain intensity. 2 speed levels to choose from. easy to carry while travelling. What I don't like is that its a bit painful on the underarms. But I guess with time and practise I will get the hang of it. Overall, I am very satisfied customer. I don't think I will go back to waxing or shaving my legs/hands again. I would recommend it to everyone as it saves the time and cost of waxing giving you great results as well.